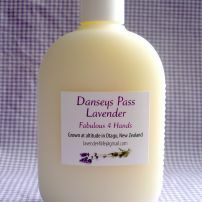 Showcasing our beautiful area, the lavender we grow, and the products we make. Stop to visit our shop, bring a picnic, enjoy the peace and the garden. Thanks to the pure mountain air, hot dry summers and long cold winters our lavender produces a fine pure oil of the highest quality. We use our prize winning oil and dried lavender buds to prepare a range of products we're sure you'll love. If you like to luxuriate in a bath fragrant with lavender bath salts or oil, if you love to give pretty gifts scented with lavender, if you love to polish your best furniture with lavender scented polish or just to take in a peaceful place while eating a lavender ice-cream then our boutique lavender farm is your destination. commented on "The weather.... it has been the wettest spring here with rain almost everyday and definitely every week everything is so green it almost ..."
commented on "We are open now for the season of 2016/17 and will be open Friday till Monday every weekend and if you want to visit on another day just ..."
commented on "Hello everyone we have had a glitches with the website, don't ask me what as I'm a lavender grower not an IT specialists...however it ..."
commented on "very sorry that a customer travelled to visit us only to find us closed .....I have updated details to make it very clear ." very sorry that a customer travelled to visit us only to find us closed .....I have updated details to make it very clear . commented on "We have after 5 years of business found that many of our core products are costing more to make so with some reluctance we are doing a ..."
Stay up to date with what we are doing, new products, new landscaping, and anything topical.